Merchandise is at 50% off and the closing ceremonies are Saturday, August 15 in Nathan Phillips Square, nothing is left but the tolls to come on the HOV lanes. Starting at 8pm Toronto City Hall will be filled with the sound of Grammy award-winner Wyclef Jean and singer-songwriter Meghan Patrick, the parade of nations and the extinguishing of the Parapan Am flame, finishing with fireworks - or thundershowers. It really is the end of the road because there are a ton of road closures this weekend, so start walking now. A list of the City's road restrictions and press release can be found at the bottom of this post. The handover of the Americas Paralympic Committee flag will go to the new host city of Lima, Peru. 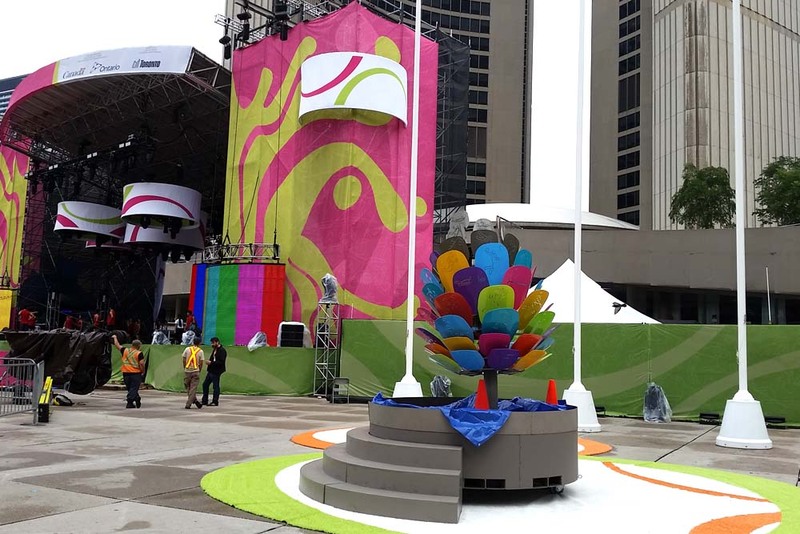 "Australian company FCT Flames designed and built the flame cauldron used for the 2015 Pan American/Parapan Games. 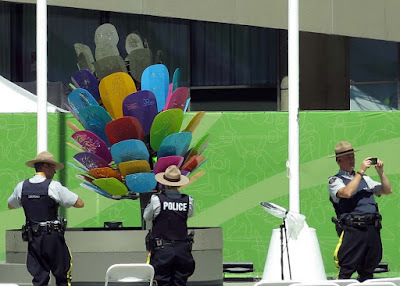 The ceremonial extinguishing of the flame, which will be beamed around the world, will be one of the highlights of the closing ceremony on Saturday." "Several festival events along with the Parapan Am Games closing ceremony will involve road closures in Toronto this weekend. Residents and visitors are encouraged to come out and enjoy these events. Businesses in the areas involved will remain open as usual. The Parapan Am Games and other special events are important for Toronto, boosting the city's economy and providing opportunities to showcase local communities. Whenever possible, residents and visitors are encouraged to consider carpooling, public transit, walking or cycling to get around this weekend and throughout the Games. Islington Avenue from Albion Road to Wardlaw Crescent will be closed from Sunday, August 16 at 6 a.m. to Monday, August 17 at 1 a.m.to accommodate this event. 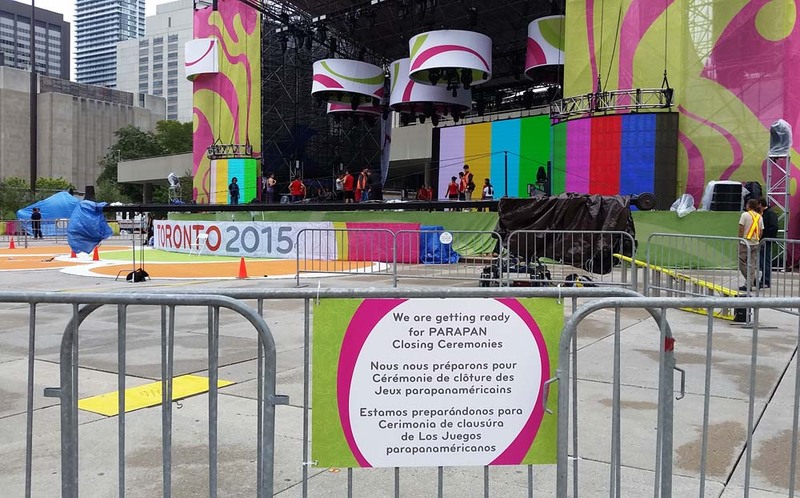 Bloor Street from Spadina Avenue/Road to Parliament Street and Yonge Street from Bloor Street to Queen Street will be closed onSunday, August 16 from 8 a.m. to 2 p.m.
More information about transportation related to the Pan Am/Parapan Am Games is available at http://www.toronto2015.org/transportation." The TORONTO 2015 Parapan American Games – the largest in history – will officially end tonight after the Closing Ceremony. 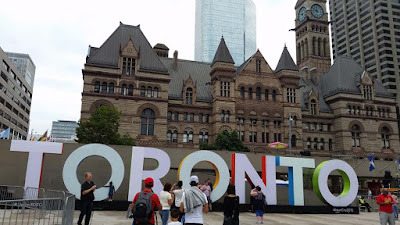 The City of Toronto congratulates all of the athletes who competed over the past nine days and demonstrated great feats of athleticism and human spirit. The City would also like to thank residents for welcoming visitors to the city and showcasing Toronto as proud Host City. The top 1,600 athletes from Latin America, South America, the Caribbean and North America showcased their talents at the Games, which served as a qualifier for the Rio 2016 Paralympic Games in all sports. 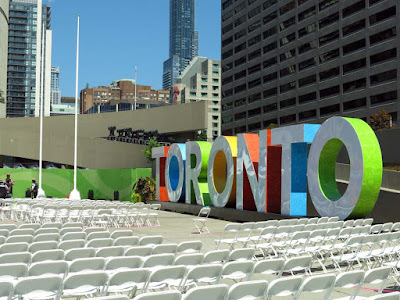 Venues in Toronto hosted archery, athletics, cycling (road), football 5-a-side, football 7-a-side, sitting volleyball, swimming, wheelchair basketball and wheelchair tennis. Team Canada won a total of 168 medals, to finish second place behind Brazil who finished with 257 medals, making these Games the most successful Parapan Am Games in history. The City of Toronto is proud of the efforts of all of Team Canada's athletes and wishes them luck in future competitions. The Games would not have been possible without a large, impressive volunteer contribution. The City would like to thank all the volunteers who served as ambassadors, ensured that the athletes, their families and Games officials got to their events, assisted visitors as they moved throughout the city and so much more. 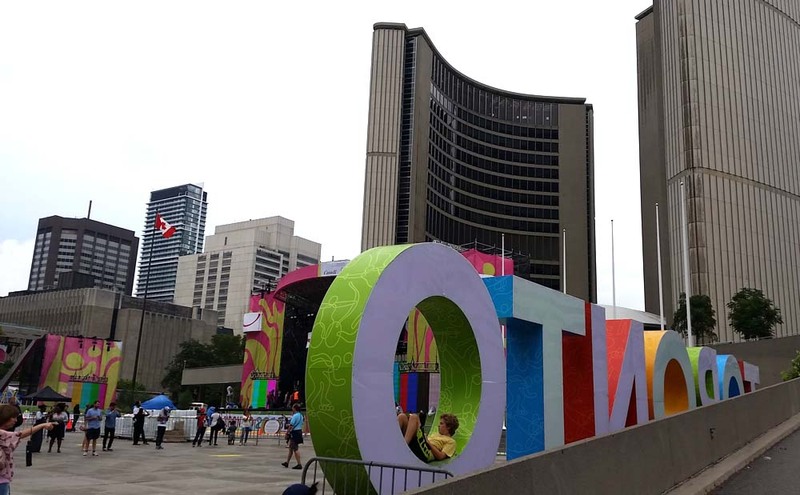 PANAMANIA Live, the cultural celebration for the Games, continued at Nathan Phillips Square during the Parapan Am Games. Thousands of residents, visitors and athletes enjoyed performances by national and international acts such as Chromeo, The Roots, Janelle Monáe, Explosions in the Sky, Jann Arden and A Tribe Called Red. PANAMANIA Live, presented by CIBC, was a 35-day arts and culture festival that enriched the TORONTO 2015 Games experience."